This February, Marina Bay Sands Singapore’s signature restaurants present a line-up of Lunar New Year and Valentine’s Day dining specials. Impress your relatives and friends with a reunion feast at Bread Street Kitchen, db Bistro & Oyster Bar, Rise and Yardbird Southern Table & Bar. 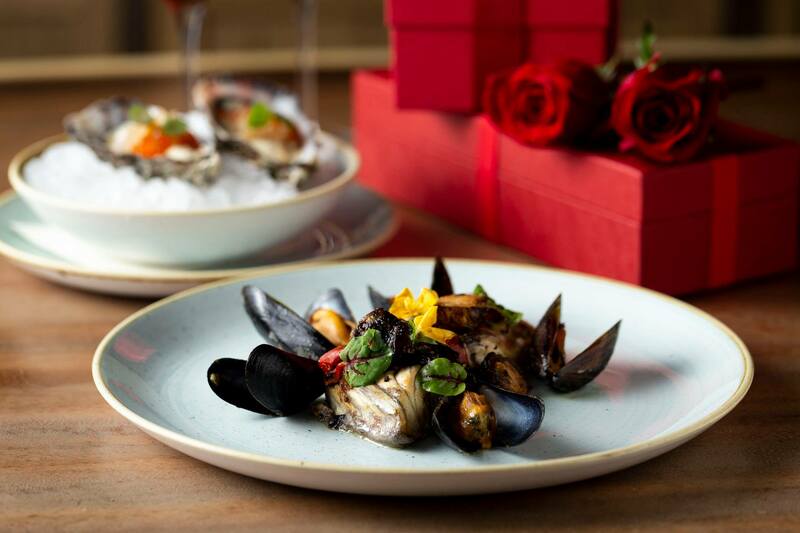 For lovebirds, Marina Bay Sands is definitely the place to be to celebrate your love this Valentine’s Day with exclusive menus at Club55, CUT by Wolfgang Puck, LAVO Singapore, Nostra Cucina, and a party at Adrift by David Myers. 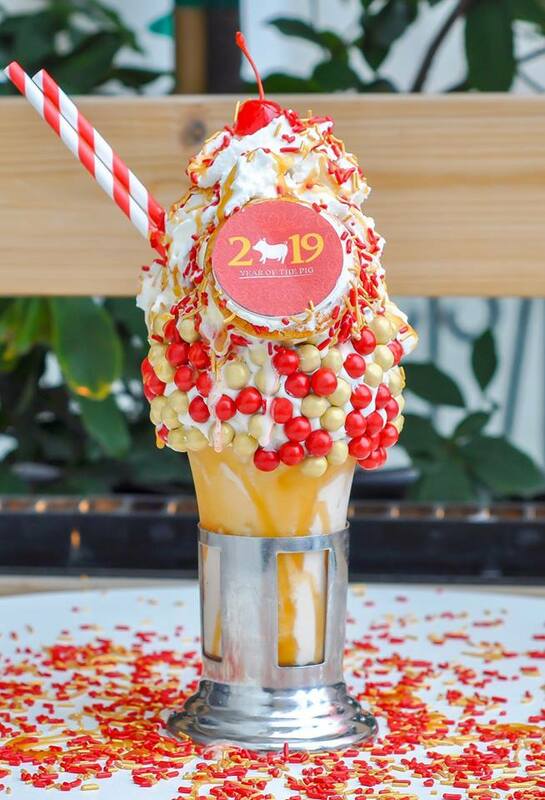 There will also be exclusive treats, such as the Red Velvet Cake Shake at Black Tap, Chinese New Year goodies at SweetSpot, and limited-time cocktails at The Bar at Waku Ghin. From 4 to 7 February, celebrity chef restaurant Adrift by David Myers is presenting a lavish six-course Chinese New Year dinner menu (S$188++ for two pax). Executive chef Wayne Brown will showcase the restaurant’s signature seafood flair with dishes such as Binchotan abalone and squid with sansho pepper and ink glaze and Woodfired Flounder with chilli, coriander and superior sauce. 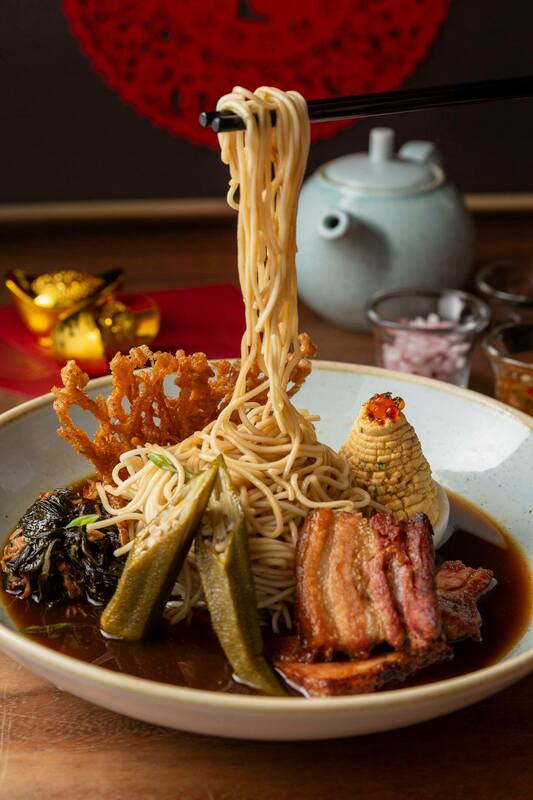 Guests can also celebrate traditions with the auspicious Yusheng, before indulging in the Suckling pig with lardo, mustard seeds and radicchio in gua bao (steamed buns). 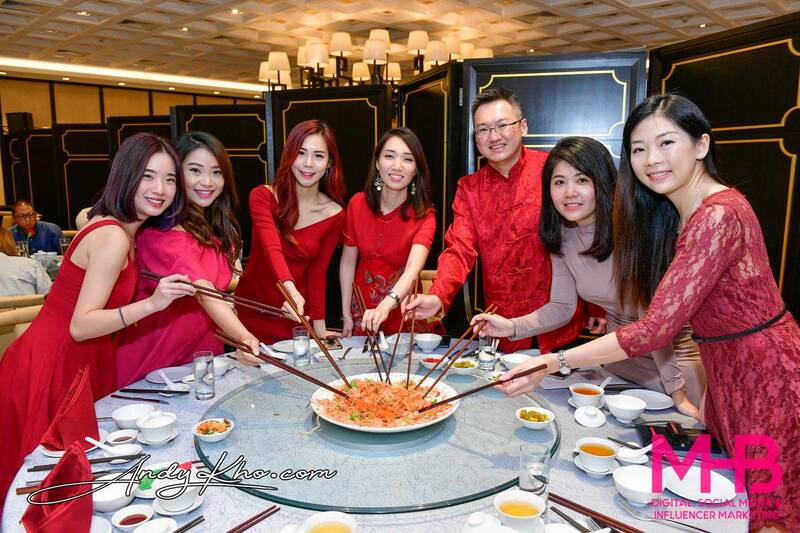 A la carte Yusheng is also available, priced at S$15++ per pax, with a minimum order of 2 pax. On 14 February, Adrift will present a luxurious seafood buffet dinner (S$98++), featuring premium ocean catch such as Alaskan King Crab Leg, Hokkaido Sea Urchin and Big Eye Tuna. Starting 10pm till late, party revellers can look forward to another of Adrift’s signature bash, titled Hearts and Wines: Valentine’s Day at Adrift. The restaurant spices the night up with a Traffic Lights bar programme, where party-goers can order coloured handcrafted cocktails to represent their relationship statuses (red cocktails for attached; amber cocktails for ‘complicated’; and green cocktails for singles), and enjoy live DJ sets spinning all night long. 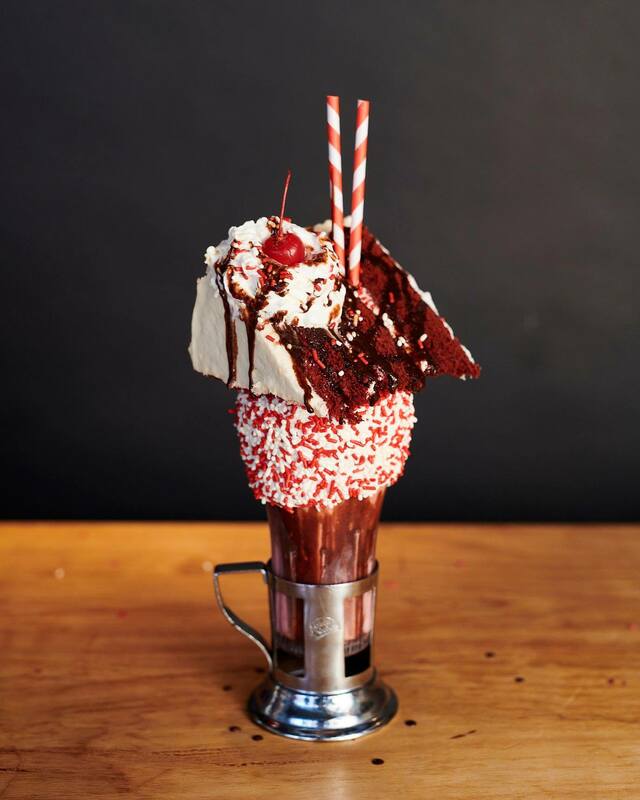 American restaurant Black Tap will present two limited edition CrazyShakes in celebration of the upcoming festivities. From 2 to 10 February, Black Tap’s Chinese New Year Shake (S$22++), features an almond cookie shake with a vanilla frosted rim, gold and red sprinkles, an Almond Ice Cream Cookie Sandwich, a Chinese New Year Cupcake, and a generous topping of whipped cream and caramel drizzle. On Valentine’s Day, indulge in Black Tap’s one-day only exclusive Red Velvet Cake Shake (S$22++) served in a towering glass of red velvet cake batter shake, complete with a vanilla frosted rim, red and white sprinkles, a slice of red velvet cake from the famed Magnolia bakery in New York, and topped with whipped cream and chocolate drizzle. 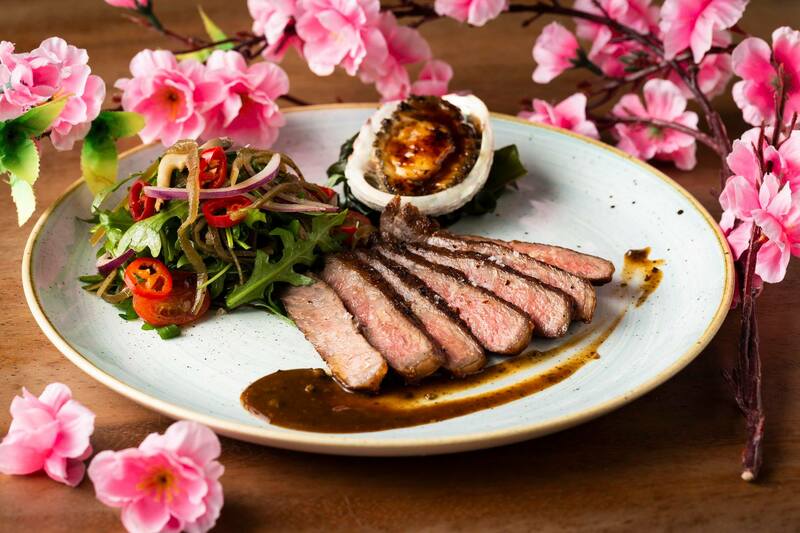 Celebrate Lunar New Year with a feast at Bread Street Kitchen by Gordon Ramsay, as the restaurant offers a selection of festive a la carte items. Relish a hearty sharing board of Whole roasted Dingley Dell pork rack with slow cooked pork belly on the bone and braised pork knuckle (S$128++; for 2-3 pax). Other highlights include the Spicy fish consommé with prawn dumpling (S$18++), the Mandarin-orange mousse cake with kumquat and raspberry streusel (S$17++), as well as the Nian Gao with desiccated coconut and gula melaka ice cream(S$17++). These exclusive dishes are available for lunch and dinner from 4 to 10 February. From 12 to 14 February, celebrate Valentine’s Day at Bread Street Kitchen with a four-course set menu (S$155++). Begin the meal with the Irish oyster with chives and soy-ginger dressing, before tasting premium starters such as the King crab and salmon ceviche with crushed avocado, chili, lime and coriander. Celebrity chef Gordon Ramsay’s famed Beef fillet Wellington makes a comeback as one of the highlights, with the Strawberry cheesecake tart with rhubarb glaze drawing a sweet close to the meal. All couples will also enjoy complimentary petit treats (hazelnut pralines and rose marshmallows), alongside a glass of his and her “Kiss” digestive cocktail. This Valentine’s Day, savour an exquisite five-course dining experience (S$140++) at Club55, amidst unparalleled panoramic views of Singapore’s city skyline. Toast to a lovely evening with a welcome cocktail, before relishing dishes such as Foie Gras with berries, walnut and port wine, Japanese ocean cod and blue lobster with apple-celery, mentaiko aioli and sea urchin emulsion, and the Kygo Wagyu beef cheek and sweetbread with savoy cabbage, baby carrot, porcini soil and truffle jus. The highlight of the dinner is the delicate Dark chocolate praline mousse with raspberry curd and coulis, passionfruit jelly, almond sable, frozen rose parfait and 66% dark chocolate shard, topped with heart-shaped sprinkles and a whimsical pink strawberry candy floss cloud. All couples will also receive a complimentary rose and a box of pralines as a sweet souvenir. 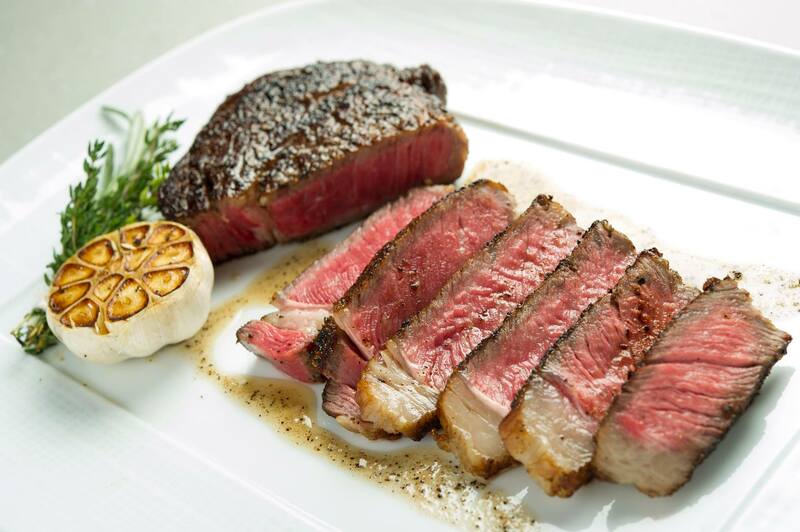 This Valentine’s Day, surprise your date to a romantic dinner at one-Michelin starred contemporary steak restaurant CUT by Wolfgang Puck. 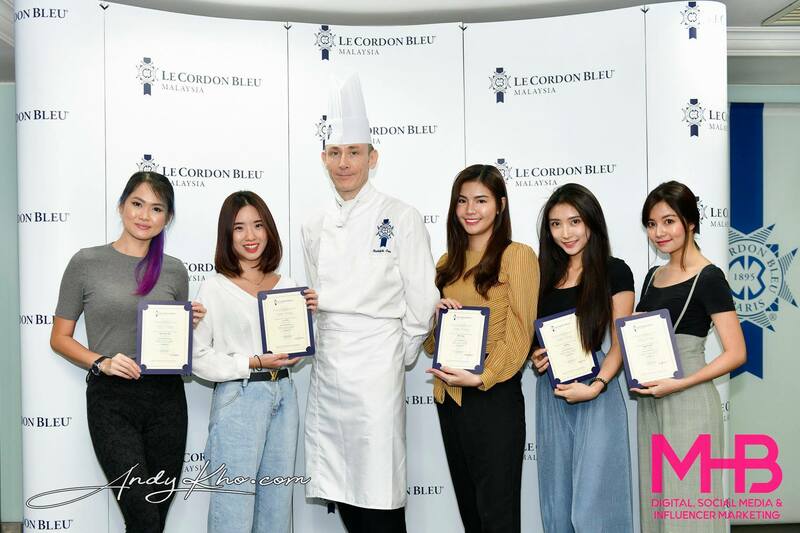 The restaurant will be serving two exclusive menus (four-course menu for first seating at S$198++; five-course menu for second seating at S$250++), which consist of amuse such as the luscious Kaluga caviar with eggs benedict Vol Au Vent; as well as premium starters like the Austrian oxtail bouillon with chervil, bone marrow dumpling and Perigord black truffles, and Sautéed jumbo lump crab cake with basil aioli, tomato relish and micro cress. For mains, savour the restaurant’s award-winning steaks — restaurant’s award-winning steaks — guests can have a choice of the award-winning U.S.D.A Prime Illinois corn-fed 21-days aged steaks, or elevate the dining experience with the Hokkaido Snow Sirloin steak with yuzu Kosho butter (with S$100++ supplement). 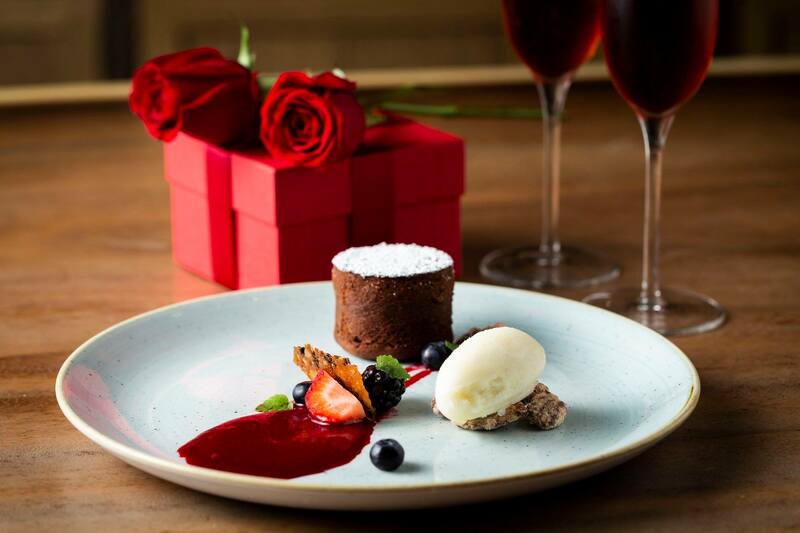 Share a richValrhona chocolate Soufflé with crème fraiche cream and Gianduja ice cream for a sweet ending. Celebrate Lunar New Year with a family-style feast at db Bistro & Oyster Bar, as the restaurant offers a series of a la carte limited-time specials from 4 to 6 February (dinner only). Enjoy the yearly crowd-favourite: Crispy stuffed suckling pig (S$44++ for one pax; S$88++ for two pax; S$172++ for four pax; S$288++ for whole pig that serves eight to ten pax) – a hearty combination of fragrant wild mushrooms, chili garlic radish, bok choy and tender juicy meat all encased in a layer of crackling skin, roasted to golden perfection and served with spiced pork jus. 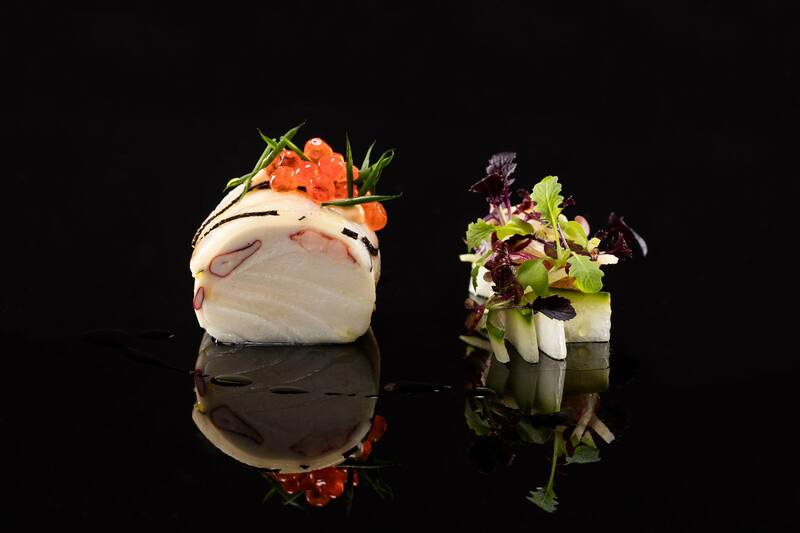 Other highlights include the Tasmanian sea trout and hamachi Lo Hei (S$18++ per pax; min. 2 pax), and the Organic “Chicken Rice” with foie gras, black truffle and sauce supreme(S$95++ for 2 pax). 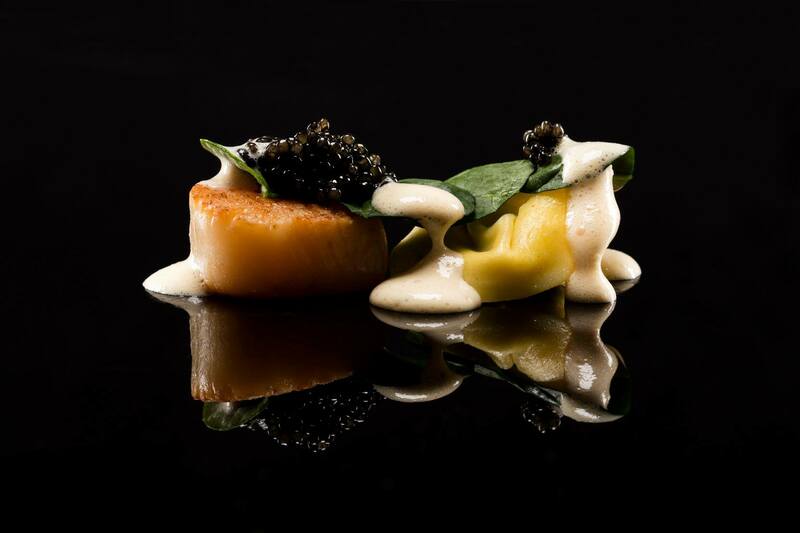 For the month of February, db bistro & Oyster Bar will also be offering the Golden Mandarin (S$20++). Delicately crafted and shaped like the citrus fruit, the refreshing dessert features layers of orange financier, citrus tuile and mandarin marmalade. On Valentine’s Day, db Bistro will have a four-course dinner menu (S$140++ per person) featuring highlights such as the starter of Oscietra caviar with cucumber vichyssoise, the Hokkaido scallop “Périgourdine” with black truffle and cauliflower custard, as well as celebrity chef Daniel Boulud’s signature “Quenelle de Brochet” Maine lobster with “Nantua” sauce. 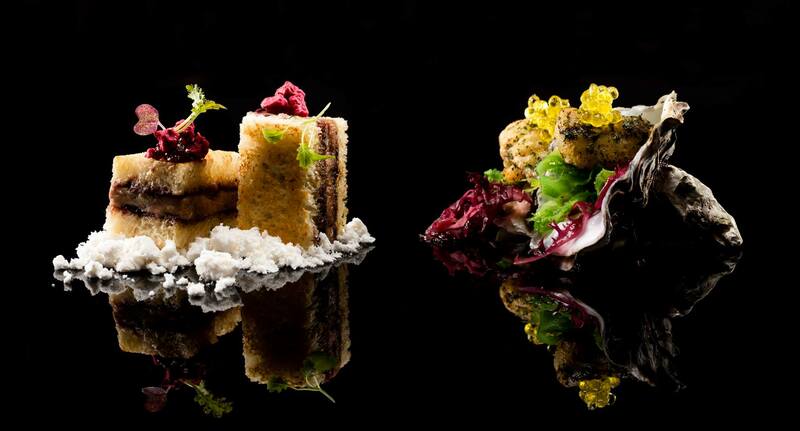 Pair the dinner with sommelier’s wine pairing at S$75++ per person. 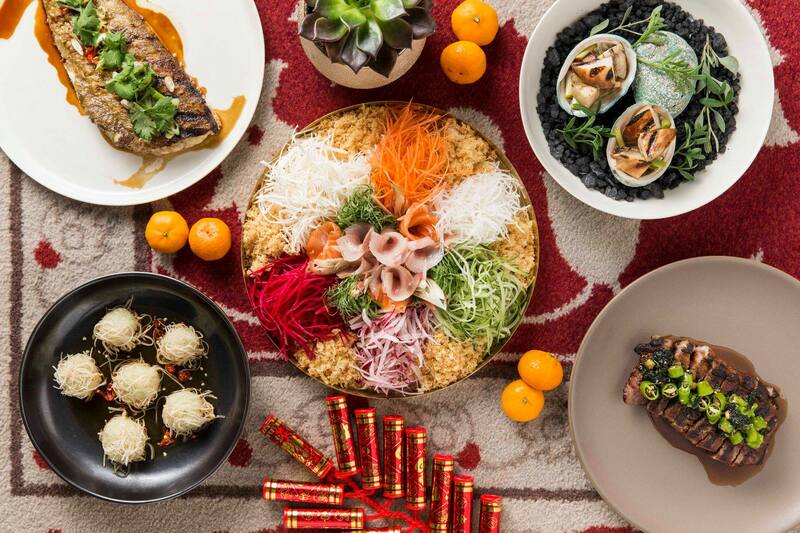 LAVO Singapore rings in a prosperous Lunar New Year with a magnificent family-style feast (S$1,888++ for 10 pax; S$188++ for each additional pax). Bring in good fortune with the Yu Sheng Salad, featuring premium Hamachi tuna, smoked salmon and citrusy Meyer lemon vinaigrette. 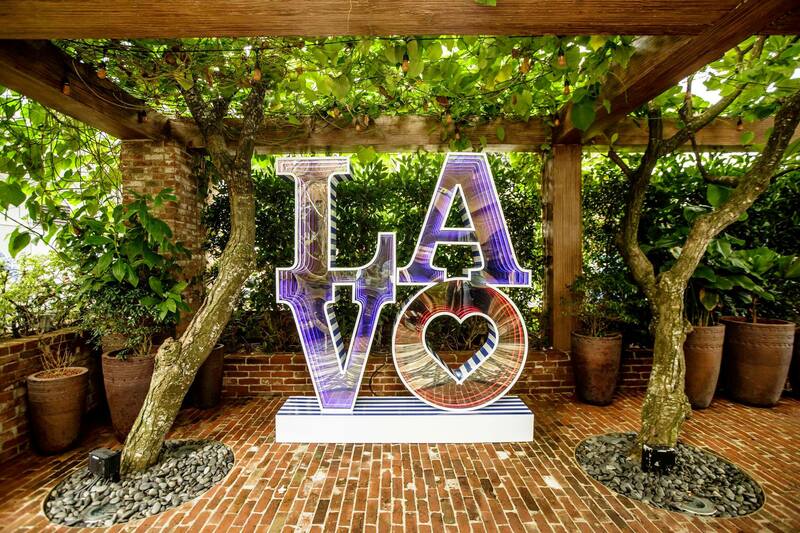 Diners can also look forward to LAVO’s creative rendition of the Suckling pig with roasted apples and fingerling potato confit, alongside other indulgent dishes such as Whole Maine lobster capellini with kombu and caviar, as well as 45 days dry-aged Grilled T-bone with garlic herb butter. Savour these meaty dishes with a variety of trimmings, ranging from Grilled asparagus, sautéed wild mushrooms, as well as truffle mash potato, before enjoying a Chef’s selection of Lunar Year sweet creations. 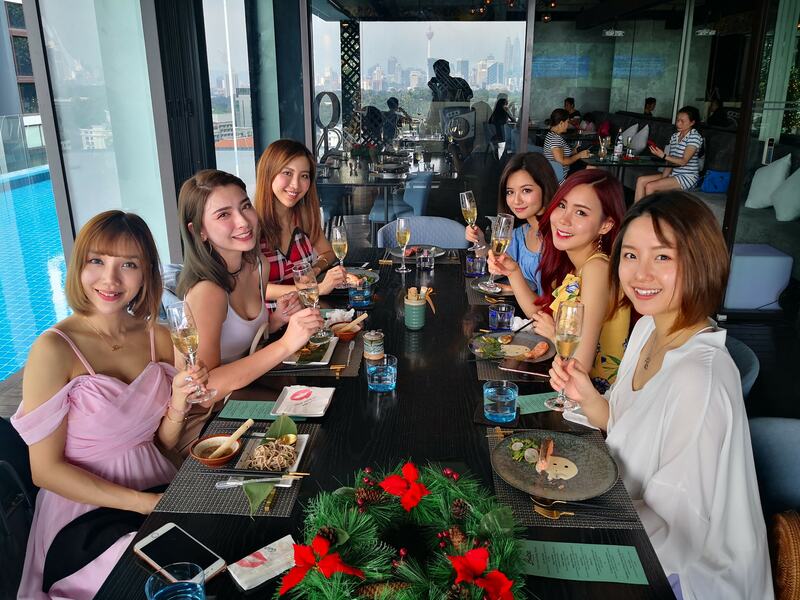 Small groups can also bond over a delightful evening at LAVO with the restaurant’s three-course set menu (S$128++ per pax). Apart from the Yu Sheng Salad, guests can enjoy a choice of main and opt for the fresh Grilled branzino with carrot puree, terragon pesto, apple & walnut pesto; Crispy porchetta with truffle mashed potato, arugula, horseradish and salsa verde; orBrasato Al Barolo wagyu short-rib with cauliflower, carrots and gremolata. 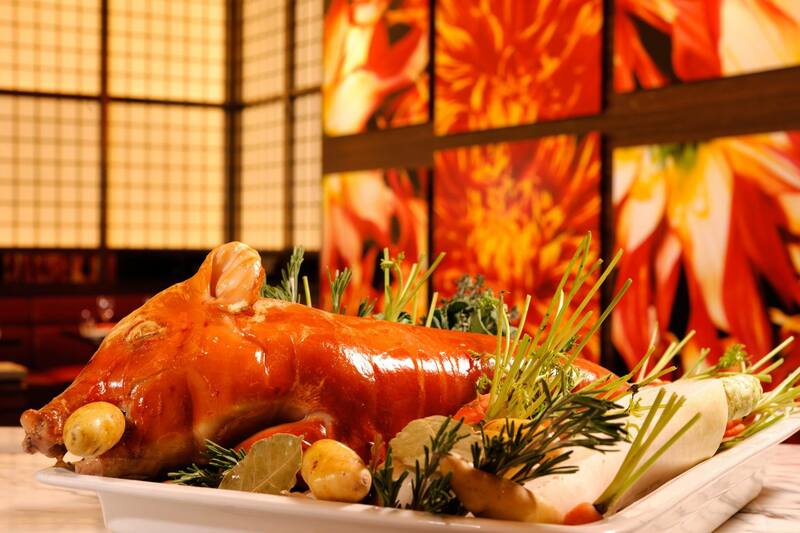 Both CNY menus are available for dinners only, from 28 January to 18 February. Please reserve at least 5 days in advance for the family set menu. On 14 February, experience sky-high dining at its best at LAVO Singapore, as the Italian-American restaurant offers a luxurious five-course Valentine’s Day dinner menu (S$138++ per pax). Start the evening with the Lobster Salad with winter beetroot and horseradish, before relishing dishes such as the Grilled artichoke tortellini with prosciutto, percorino and butter, the Seared sea scallops with charred cabbage, celeraise and mustard, as well as the Trio of Veal for two — a robust dish featuring veal rack and breast meat with sweetbread and Cannelini beans. Draw a close to the romantic evening with a dessert of Almond with vanilla, rose bavarois and raspberry gelee, amidst mesmerising views of Singapore’s stunning skyline. 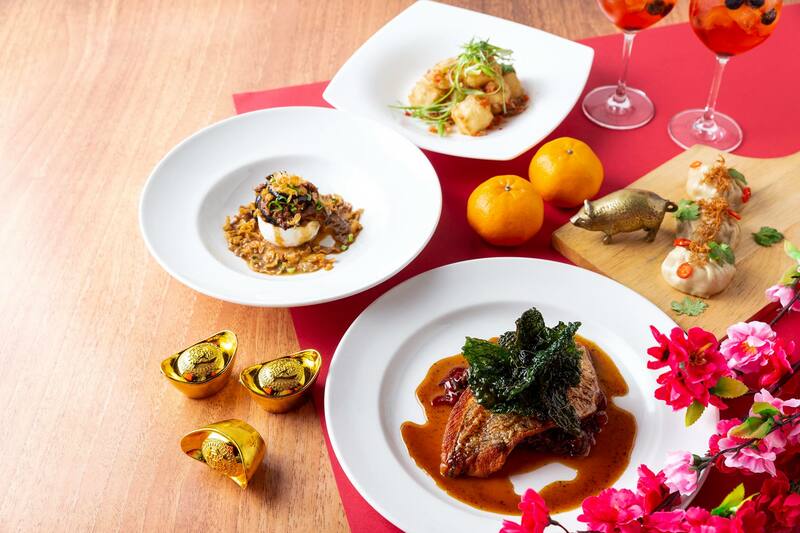 Add an Italian twist to your Lunar New Year festivities with Nostra Cucina’s sumptuous five-course dinner menu (S$88++ per pax; S$188++ per pax with wine pairing). Whet your appetite with the refreshing Italian Riviera Style Raw Seafood Salad, before indulging in the restaurant’s signature cheeses with a choice of Buratta with eggplant and minced pork, or Crispy mozzarella with five spice, garlic and chilli. For mains, opt for the Fried snapper with Agro Dolce and crispy kale — fried till the skin is crisp and the meat fork-tender, the fried snapper is doused in a generous coat of tangy Italian sweet and sour sauce and served with crispy kale. Complete the meal with the aromatic Vanilla Bean Panna Cotta with tangerine and almond hazelnut biscotti. This menu is available from 2 to 9 February. 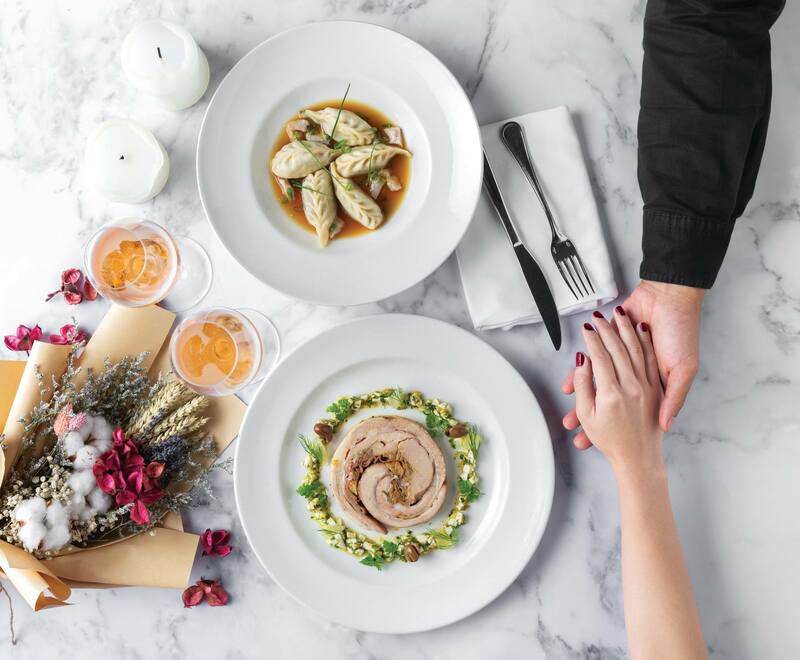 This Valentine’s Day, impress your better half to an authentic Italian dinner at Nostra Cucina with a premium three-course Valentine’s Day menu (S$250++ per couple). The restaurant will be serving Italian dishes such as Veal Brisket Rotolo with Mortadella, caramelized onion, Ligurian olives and sauce Gribiche, as well as the Sweetcorn Cappellacci with buttered morels, freshly made in-house. All couples will also receive a complimentary bottle of rosé sparkling. Starting January 2019, take home a slice of Nostra Cucina with its monthly pizza takeaway specials. In January, receive a complimentary bottle of peroni beer for every order of a Pastrami pizza. In February, savour the restaurant’s best-selling classic Margherita Pizza at only S$20++ (original prize: S$27++), and in March, enjoy 30 per cent off the Torta Flambee Pizza(S$27++) — featuring generous portions of smokey bacon, sweet onions and sour cream atop a thin chewy crust and slightly charred rims for a crispy bite. 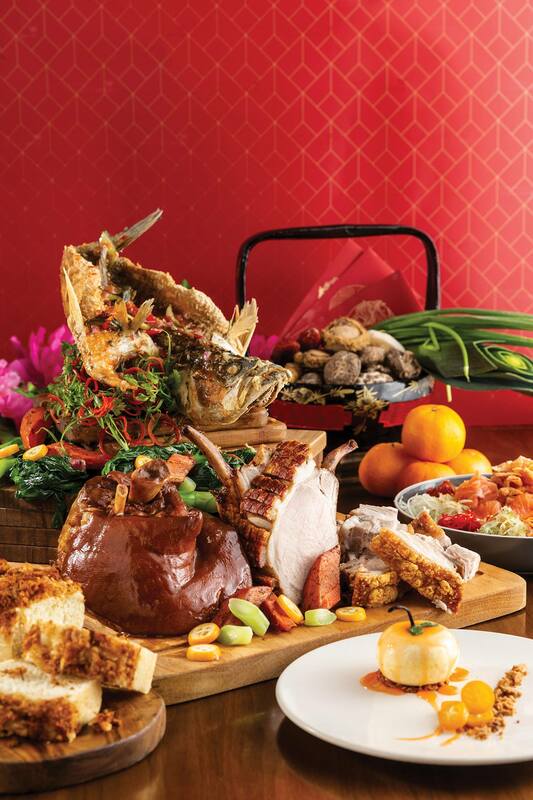 Ring in the Lunar New Year with an abundant spread of traditional Chinese delicacies at Rise at Marina Bay Sands. Buffet highlights include the Herbal Drunken Prawn live station, and mains such as Dried oysters and black moss stew on broccoli, Eight Treasure Rice and Braised duck with sea cucumber. Guests can also look forward to seasonal desserts, such as the Almond soup with glutinous rice dumplings, Deep-fried Nian Gao with sweet potato fritter, as well as a variety of Chinese New Year cookies. On 14 February, pamper your Valentine’s date with the best of various international cuisines. 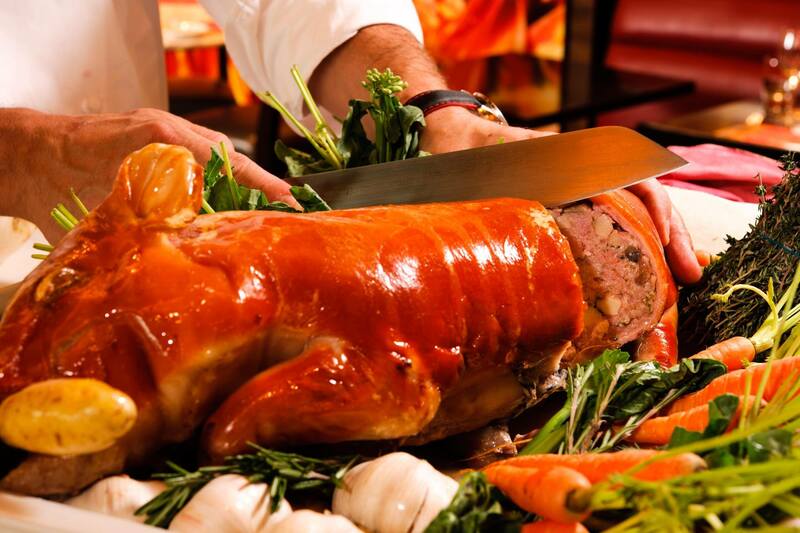 Buffet specials include a cold selection featuring prawn cocktail, hamachi, lobster and Alaskan king crab, a Roasted Angus Tomahawk carving station, a Grilled slipper lobster with spicy lemongrass sauce live station, as well as sweets such as Red velvet and citrus lava cake, and Chocolate chip waffle with macerated berries. Renku’s signature Afternoon High Tea comes with a twist with themed specials this Lunar New Year and Valentine’s Day. 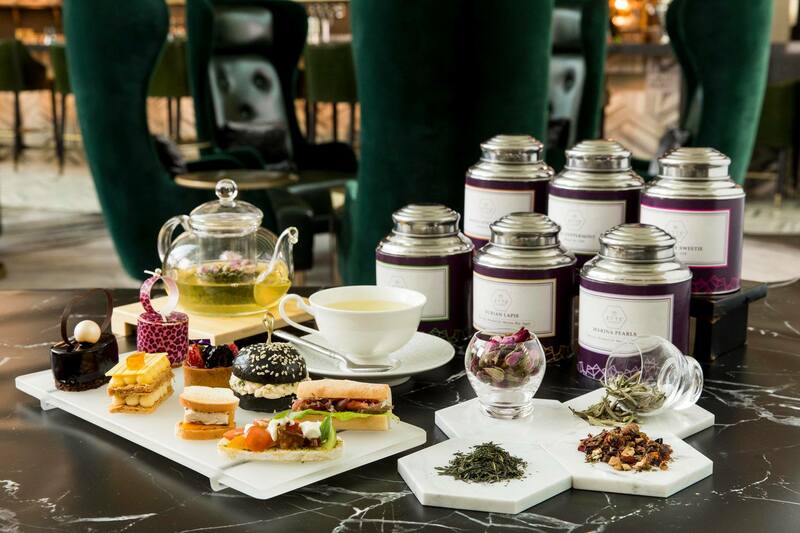 From 21 January to 13 February, pair your favourite tea to with the festive French Baguette with Bak Kwa, hoisin sauce, mayo and shredded lettuce, and with desserts such as the Osmanthus flower praline, Sesame praline éclair, and the Pineapple manage mousse. From 14 to 17 February, surprise your date to an afternoon high tea with limited-time Valentine’s Day specials. Indulge in a medley of sublime sweet treats, which include the Dark chocolate raspberry molleux, Lychee rose delice, as well as the deluxe Champagne pralines. 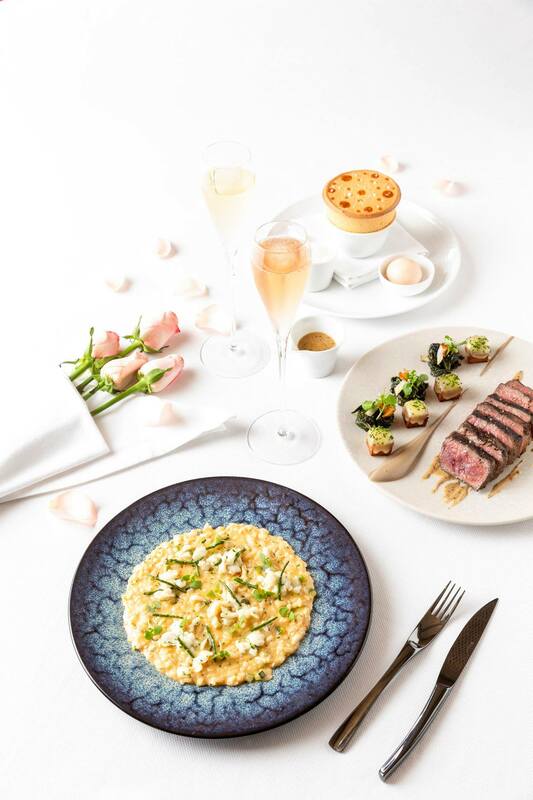 Impress your significant other with a three-course Valentine’s Day set dinner menu (S$195++) at Spago Dining Room, perched 57 stories atop Marina Bay Sands. Start with a creamy Risotto with Alaskan king crab, caramelized zucchini and uni butter (available a la carte at S$42++), before indulging in the succulent Snake River Farms American Wagyu New York Sirloin steak with roasted fingerling “Patatas Bravas”, celeriac puree, pickled mustard seeds and Bordelaise sauce (available a la carte at S$160++). Complete the experience with the light and fluffy Salted Caramel Soufflé with Farmer’s Market Fuji Apple Sorbet (available a la carte at S$24++). Couples can also elevate the experience with a glass of rosé at $40++ or a bottle at $150++. 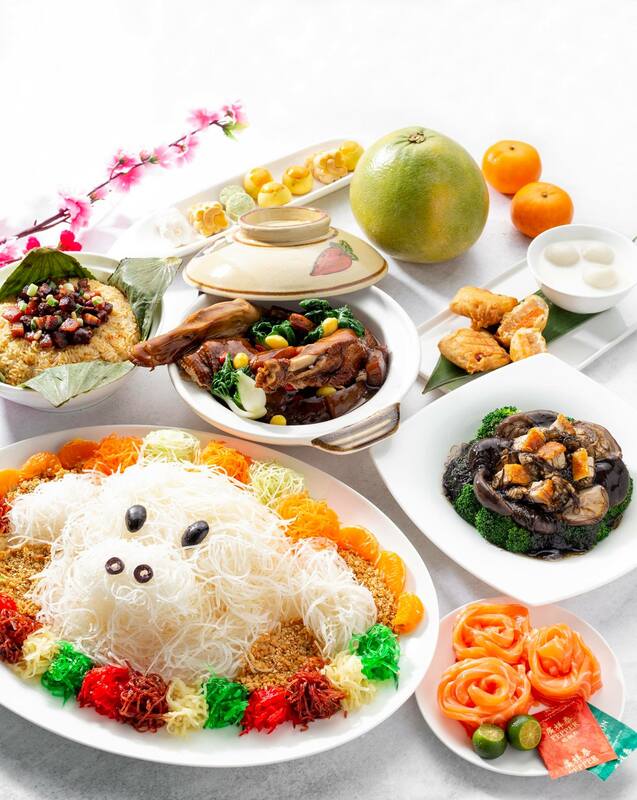 From 13 January to 10 February, satisfy your sweet cravings with a medley of delicate Lunar New Year goodies from SweetSpot at Marina Bay Sands. 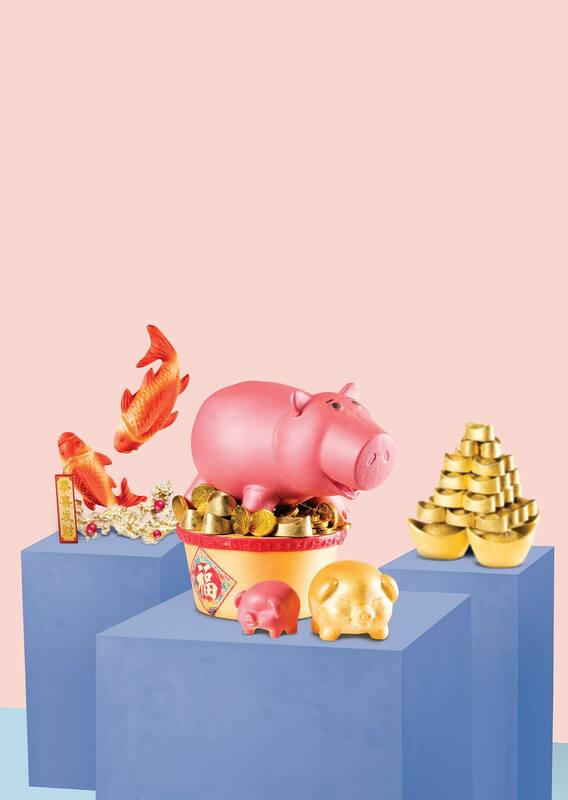 Celebrate the Year of Pig with the adorable Piggy Bank (S$78) — a bright pink piglet made of rich Valrhona chocolate, sitting atop a treasure chest filled with luscious dark, white and milk chocolate truffles. This festive centerpiece comes with a wooden hammer which can be used to crack open the piglet to unveil more chocolate ingots and coins, symbolizing an abundance of prosperity. Other highlights include the Caramelised Pineapple and red fruit cremuex delice (S$9 for individual slices, S$55 for 500g cake, $68 for 1kg cake), and the Prosperous Fire Cracker (S$78). This February, experience the art of Japanese-style cocktail making at The Bar at Waku Ghin, as award-winning head bartender Kazuhiro Chii rolls out two exclusive cocktails for the festivities. 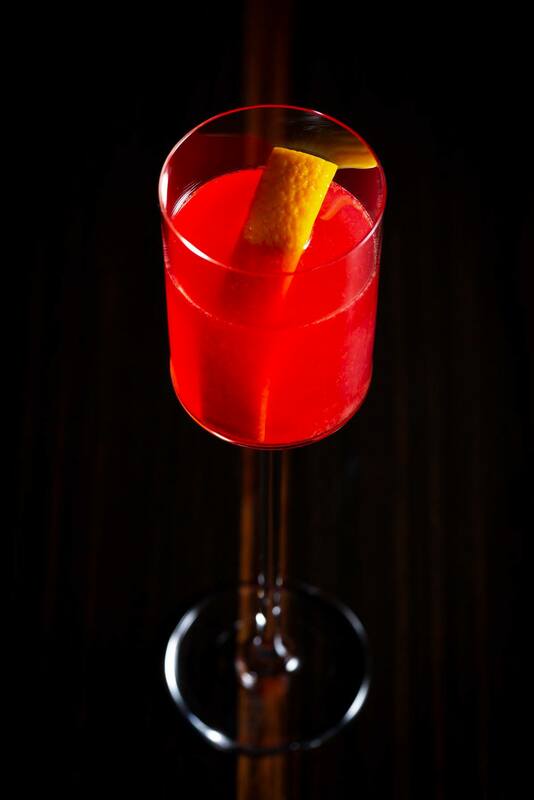 From 4 to 19 February, sip on the vibrant scarlet Ang Pao (S$25++) — a gin-based concoction featuring zesty orange juice, sweet-tart Grenadine syrup, and Benedictin Dom for a hint of spice and herbal nuance. From 7 to 14 February, the intricate Beauty & Beast (S$25++) steals the limelight, with aromatic citrus notes of Cointreau lacing the gin-based tipple. 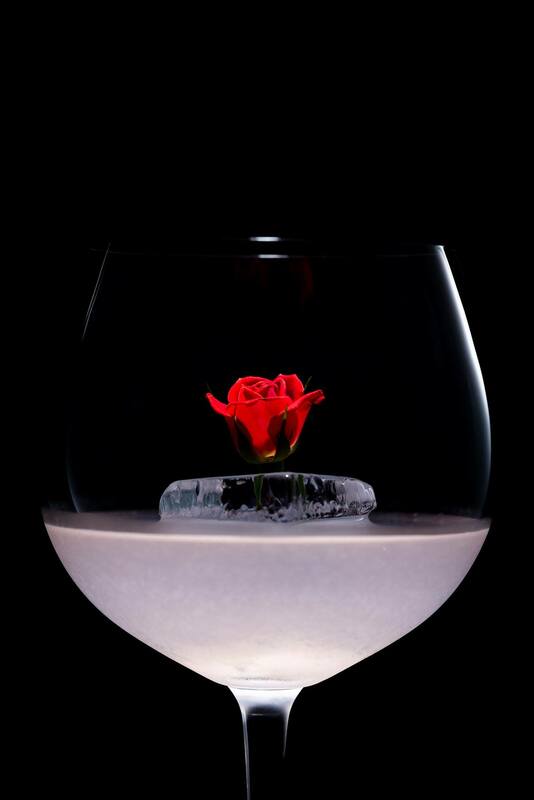 A perfect tipple for ladies, the cocktail features rose syrup, peach berries and lemon juice for a delightful drink that is light on the palate. Celebrate a prosperous spring over a five-course Lunar New Year feast (S$225) at classic American restaurant Yardbird Southern Table and Bar. Highlights include the refreshing Southern Yu Sheng, a medley of fresh fruits and berries with Daiko cucumber and benne seed plum dressing, as well as the premium Japanese wagyu and abalone, served with a horseradish peppercorn demi BBQ braised abalone, grilled abalone mushrooms, Thai chimichurri, and a pickled kelp salad. Guests can also look forward to Yardbird’s creative take on the classic Chinese noodle dish – the Deep South Ramen – which features springy noodles doused in dark and smoky chicken broth, served with collard greens, Chow Chow (a type of American pickled relish), pickled okra, and a deviled egg & smoked trout roe. This menu is available from 4 to 10 February for dinner only, and guests can opt for wine pairing with a top up of S$30++. 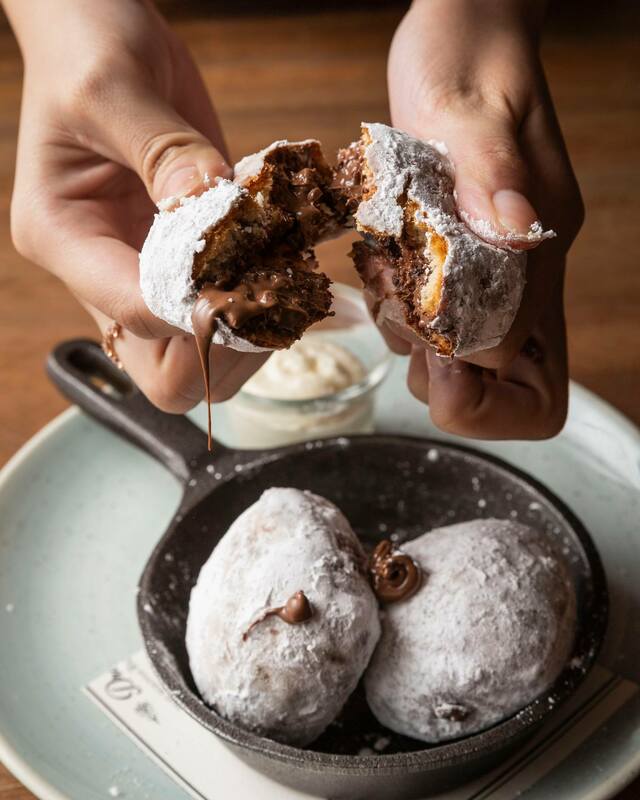 Yardbird Singapore will also be offering a sumptuous four-course dinner menu (S$138++) on Valentine’s Day. Celebrate in style with an appetising starter of Oysters & Bubbles – freshly shucked oysters are served with Granny Smith apple, fresh horse radish root and lemon olive oil. Other highlights include the juicy Japanese wagyu with grilled Balsamic portobello, arugula salad, butter roasted cippolini and green peppercorn sauce, and a decadent Chocolate lava cake with raspberry coulis and key lime champagne sorbet. Visuals courtesy of Marina Bay Sands Singapore.